WeatherAction supports True-Green-Policies to defend biodiversity and wild-life and reduce chemical and particulate pollution and points out that CO2 is not a pollutant but the Gas-Of-Life (plant food). HELLO! On our site you can keep up with the latest news, videos, comments and reports of weather and related solar activity and give your own observations and comments via the Latest Comment blog (Right) and read WeatherAction news-pdfs in the 'Latest' tab. Our twitter feed - @Piers_Corbyn and facebook page also carry leading weather and solar activity forecast reports and news. 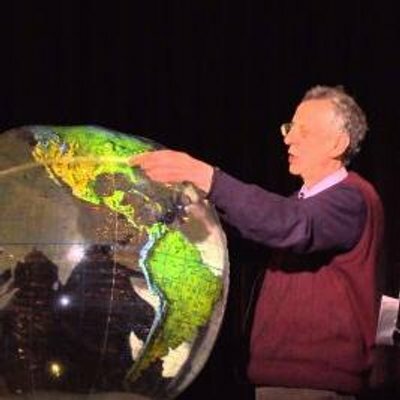 - See VIDEO of Piers Corbyn presentation to 'The Greenest Event', Johannesburg South Africa June 5th 2012 and more recent Video Links (Electric Universe conference USA March 2014) listed below / on right section of this homepage. They give possible likely weather scenarios (+/-1d) in typically 8 time periods per month for Britain+Ireland, Europe, USA regions. They are NOT substitutes for short range detail but provide a likely scenario for LongRange decisions and choices and are normally more accurate and applicable than standard meteorology on all time scales from months ahead to 5days ahead. WeatherAction are the only LongRange forecasts with proven peer-review published significant skill. In addition to LongRange detail typically within 1 or 2 days resolution WeatherAction Solar factors - R5, R4, R3... ( in all forecasts) give advice which point to improverments of short range model forecasts. Comments and news in forecasts and here and in blogs linked below deal with both LongRange Forecasts and medium-short Weather and geophysical effects - eg aurora - of solar factors in Br+Ir, Europe, USA and across the world. Follow @Piers_Corbyn on twitter for very latest news and comment. Note Piers' tweets/retweets of standard model output at times may not imply agreement but is more information since models change so much in this Wild-Jet-Stream / Mini-Ice-Age era. ALL PAST FORECASTS are available in the web access boxes for current forecasts and in the Forecast archive (Via Forecasts tab) as it updates. Forecasts are normally for each MONTH and in (up to) 8 sub periods Br+Ir, Europe inc Scandanavia and USA. In forecast access & notes BI, B+I, BrIr, Br+Ir = Britain+Ireland; Eu = Europe inc Scand. 30d forecast means current/next month up to ~30d ahead and is issued at ~end of previous month. 45d forecast means ~15d to 45d ahead and is issued mid of previous month; etc for 75d. Forecasts issued can include re-issue of copies of previous without update and appropriately labelled [even if no changes have been (yet) made] - so subscribers know they have not missed a forecast (update). BI 100d, 90d, 75d, 45d and 30d can be the same but there normally will be extra detail and/or (sometimes) changes at any stage or extra stages espec for 45d & 30d issues. The basics of any forecast normally stay unchanged from ~6m ahead to 30d fullest detail in ~85% of cases. where we point out that the world is now cooling not warming and there is no observational evidence in the thousands and millions of years of data that changes in CO2 have any observable effect on weather or climate in the real world. WeatherAction are world leaders in Long range weather - and climate - forecasting and produce detailed weather forecasts to resolution of a few days months ahead for Britain & Ireland, Europe and USA +South Canada, and climate forecasts up to 20 years ahead. 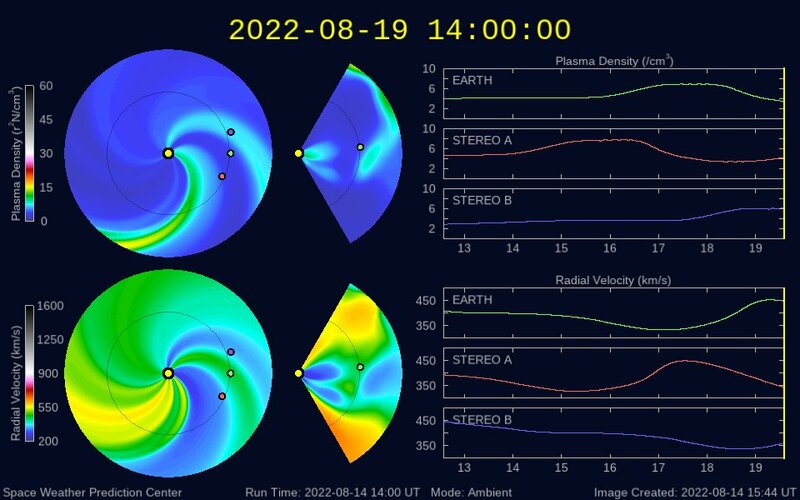 The forecasts are based on predictable aspects of solar particle and magnetic activity and sun-earth connections and their modulation by lunar effects. The unique method developed by Piers Corbyn - WeatherAction founder, astrophysicist, theoretical physicist and weather & climate physicist & forecaster - is kown as The Solar-Lunar-Action-Technique (SLAT) of Long-Range forecasting. Independent peer-reviewed measures of WeatherAction forecasts, monitors by insurance loss-adjusters, and scientific weather bets through William Hill show the significant skill of WeatherAction forecasts weeks and months ahead while other ('classical' / Numerical modelling) methods have no-skill (see www.WeatherAction.com Forecasts / accuracy). Forecasts out to 100days ahead for Britain and Ireland and less (but extending) for Europe and USA are sold at low charges on-line via www.WeatherAction.com . Forecasts further ahead - eg up to 6 or 12 months ahead are available directly from WeatherAction.com . Most regular customers are farmers, commodity and energy traders, water companies, holday operators, event planners ( eg weddings, holidays, festivals), weather-sensitive retail and outdoor-pursuits. WeatherAction forecasting powers are greatest for extreme events - storms and heatwaves / cold spells. WeatherAction's unique R-periods ('Red' weather periods, topmost R5 and R4), forecasts, now recognised world-wide by scientific forecasters and extreme-event analysts have unique skill in predicting most likely periods of extreme thunder and tornado risk and Tropical Storm formation and Rapid development. The same / related periods are also used for Extreme Earthquake risk trial forecasts. - Extra-ordinarily cold (displaced polar vortex) Winter/Springs 2014 and 2015 (East) USA+S Canada. - Formidably skilled forecasts for April and May 2016 in BI, Eu and USA. NONE of the above were predicted long-range by any other forecasters. Subs start in the same month for payment on or before 21st of month. From 22nd the Sub is deemed to apply from the next month and the current month is free. - so that next month which loads 15th onwards is excluded. 30d for that month is also loaded. 45d subs start for the following month for payments made till 27th. From 28th subs are deemed to start from the month after that and months prior to that are free. - so that next 75d month which loads 15th onwards is excluded. 28th, as 45d, is sub start switch date. so 45d, 30d forecasts for the months load. 150d (5 months) ahead access is to 28th of month concerned and updates on 29th onwards. 1. FACT. There is no evidence for the CO2 climate driver proposition in the real world using real data over hundreds of thousands of years. World temperatures do not follow CO2. The world is not warming and has not been doing so for 18 years. 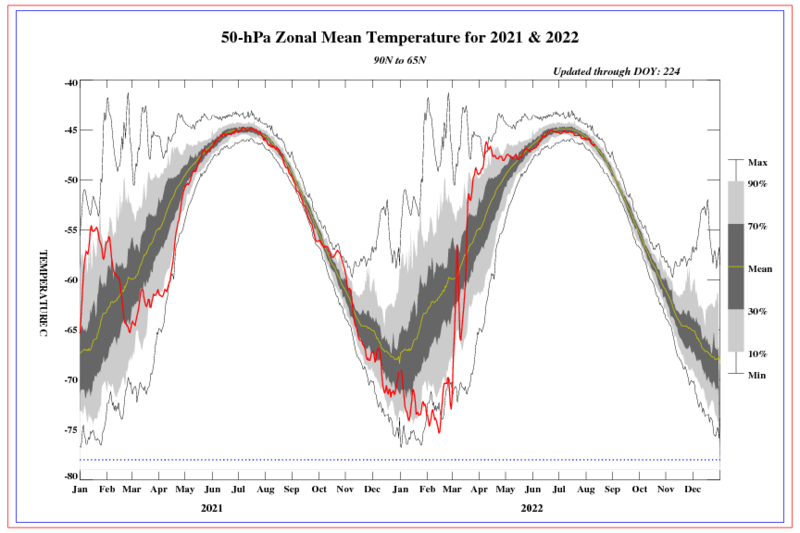 Even under fraudulent UN-MetO-NOAA manipulated data the world is not warming. ALL the alarmist predictions of CO2 warmism have failed. FACT Changing CO2 has no effect EVEN the Models used by the Met Office and UN's Climate Committee (the IPCC) show CO2 levels have no effect on the Jet Stream or extremes which come from the Wild Jet stream changes which they fail to predict. It is meteorological fact that the recent very wild weather extremes and contrasts follow from wild Jet Stream behavior. THAT Wild Jet Stream (Mini-Ice-Age) behavior was and is regularly predicted by Piers Corbyn's Solar-Lunar approach and is nothing to do with CO2. See http://www.weatheraction.com/docs/WANews14No06.pdf & Piers' video http://bit.ly/QS0k34 The claim that these extremes are driven by CO2 / man made Climate Change is a lie for which there is no evidence or scientific paper which demonstrates a link in the real world. 2. FACT. Even if CO2 had an effect the idea that Man’s 4% of total CO2 flux rules the other natural 96% flux in and out of sea/land making it follow man’s activity is a ridiculous conspiracy theory of nature. It follows War should be declared on termites which emit 10x Man's CO2 equivalent. Why has this not happened? 3. FACT. The reason why the CO2 atmosphere theory can never work is that the Ocean-atmosphere interface controls the amount of CO2 in air – a warmer ocean (which holds 50x more CO2 than the atmosphere) emits CO2 and vice versa. This is very basic physics*. Just as when you warm a glass of fizzy drink more CO2 comes off and it absorbs more when it is cold. Putting more CO2 above the glass of fizzy drink does NOT however warm it up! Ocean temperatures CONTROL atmospheric CO2 levels. It is an observed fact in millions of years of data that Ocean temperature changes LEAD atmospheric CO2 changes. Irrespective of these facts there are 2 other reasons why CO2 warmist theory must fail: a) the surafce cooling effect of plants b) Non equilibrium thermodynamics in the atmosphere - ie the assumptions of the ‘theory’ are nonsense. *Henry's Law. "2014 (or 2015 or 2016 or 207 or 2018...) World hottest ever"? - Nope! Piers Corbyn says "This is not an increasing graph. the absurd claims cannot continue. We need a world campaign to clear out the fraud and clean up science". On Sept 10 2014 In keeping with their deluded stance that all weather extremes are CO2 extremes and their Goebbels-esque approach to hit the public with the biggest climate lies as often as possible Roger Harrabin (BBC Environment Correspondent) gave a predictable double whammy of dishonesty on the extreme weather events in Asia and around the world. He said on BBC TV News that As the the world continues to warm incidence of extreme events such as in recent days will increase. The Models used by the Met Office and UN's Climate Committee (the IPCC) show CO2 levels have no effect on the Jet Stream or extremes which come from the Wild Jet stream changes they fail to predict. It is standard meteorology that the recent wild weather extremes and contrasts follow from the wild Jet Stream behaviour. THAT Wild Jet Stream (Mini-Ice-Age) behaviout was and is regularly predicted by Piers Corbyn's Solar-Lunar approach and is nothing to do with CO2. See http://www.weatheraction.com/docs/WANews14No06.pdf & Piers' video http://bit.ly/QS0k34 The claim that these extremes are driven by CO2 / man made Climate Change is a brazen falsity for which there is no evidence or scientific paper which demonstrates a link in the real world. Harrabin is a Science denier and we challenge him - along with BBC- MetOffice's John Hammond to justify their case in public debate on their misleading claims which are a disgrace to the BBC, Met Office and world science. because it ensures high energy prices and massive value for much of their otherwise worthless assetts in less accessable oil and gas fields. 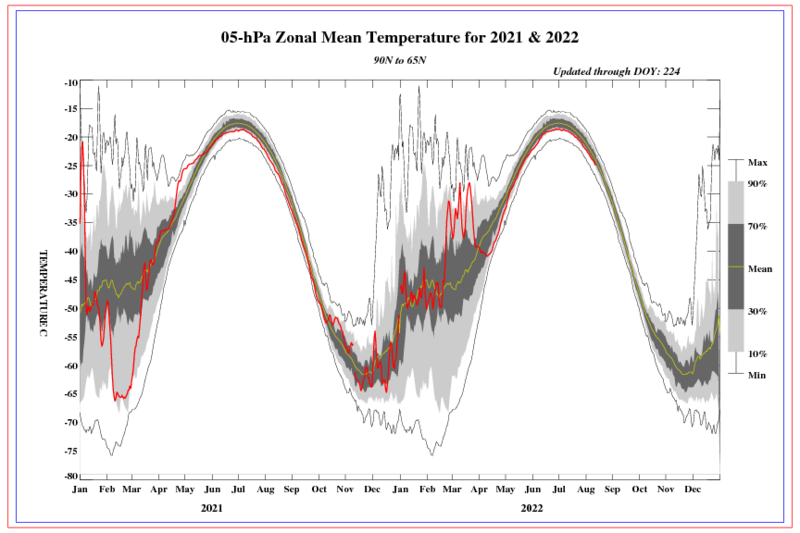 modifications/'corrections' to make past processed 'data' colder and present warmer than objective honest records. - of weather & solar-geophysical activity warnings are the world-leading predictive parameters in LongRange Sun-Earth relations. *These are uniquely predicted by WeatherAction and no others using Piers Corbyn's Solar-Lunar-Action-Technique. WeatherAction Top/Major Red (R5/R4) periods* warning of possible extreme weather events have received acclaim for reliability and timing in the last year. WeatherAction TopRed, R5, periods show greatest risk of dangerous thunderstorms and turbulence in airflight. 20014 24 July ~01.55am Air Algerie AH5017 (MD83) All 118 killed* in thunderstorms Sahara in WeatherAction R5 24-26 July. *http://www.bbc.co.uk/news/world-africa-28460625 +PIC ABOVE. Recall there was 'mean looking storm cloud' London 25th. See PIC above. WeatherAction R5,R4,R3...values are included in ALL forecasts 30d, 45d, ahead and some indications further ahead along with associated solar / aurora / geomagnetic events. Hello Spring 2019. More wild Jet stream weather is expected this Spring and the rest of this year. If you're not yet a subscriber please join and PREPARE for whatever comes. Blog for accountability in science+politics, Brexit, Social cleansing, fighting corruption & green religion. STOP DELAY+SABOTAGE OF OUR DEMOCRATIC BREXIT! GO WTO: UK can Leave EU NOW easily & safely by managed #WTODeal. SEE => http://bit.ly/2U7C2Dd <= Ignore "CrashOut" bogey FakeNews! The Merkel-May "Withdrawal-Agreement" (TREATY) = GermanBrexit is much much worse. The Good Friday WaterlooBridge #Scientists4Truth counter-protests were reported in The DailyMail and Daily Express on Easter Saturday. The comments and Like/Dislikes on them were overwhelmingly supportive of Piers' scientific position and strongly against Extinction-Rebellion (#XR). Easter Monday: Scientists4Truth banners, leaflets and loadspeaker speeches got a lot of interest from people going to GretaThunberg-Guardian event in Friends Meeting House Euston. We later handed in a letter to BBC demanding scientific evidence for the #CO2 story and gave out leaflets at MarbleArch. Piers says: "Many #XR protesters were clearly totally ignorant of this BBC and EU-UN orchestrated protest they had got involved in, nevertheless we still gave out lots leaflets and had some good discussions. "There is no such thing as man-made #ClimateChange. "If the protesters wanted to do anything useful they should protest AGAINST wind farms which kill birds, bats and (eg in Germany) kill thousands of tons of pollinating insects annually. This limits crop growth and endangers rare birds and bats. Piers Corbyn says: "The BBC is now a TOTALLY IMBALANCED 24/7 propaganda machine for CO2 ClimateChange FakeScience. Their lies are now at Goebbelesque levels of brainwashing. Without them and Sir David Attenborough of #WalrusGate ExtinctionRebellion would have tiny effect. "The BBC should pay for their imbalance and brainwashing by compensating the tens of £millions losses suffered by business and the travelling public from #XR throttling of London working life. "Those of us who can see through the Climate lies have a DUTY to get the truth out and DEMAND fair say on BBC and #MSM. SO please support #Scientists4Truth and GIVE to the cause. ExtinctionRebellion has huge corporate backing from the UN-deep shadow-State, #BigOil and 5G oligarchs, we have none. Are you a twitter follower / fb friend of PiersCorbyn / WeatherAction and the fight for accountability in Science and politics - to defeat the climate hoax and save Brexit? www.WeatherAction.com & @Piers_Corbyn rely 100% on forecast sales. Take up the amazing forecast deals below, TODAY! Use the forecasts to improve your bottom line! All subscriptions include all updates. IMPORTANT FORECASTS: in 5 (BI & Eu) and 7 (usa) sections. ALL-SUMMER-NOW is now 70%OFF = £29, $39 to end of 25April then price up. TEXT "AusNZ" Club to 07958713320 for our records. Eu: 30d, 45d, 5m, EuALLSpringNow; Eu En Trades; BI-with-Eu 45d; TheWholeLOT. USA 30d, 45d, 5m, Usa-All-Spring-Now; TheWholeLOT. Great winter Wild Jet Stream / PolarVortex success is reported below. WeatherAction forecasts are hugely superior in scope, detail and proven reliability over all other Long-Range (months ahead) efforts in the field. They give unique high value for planning and preparedness purposes in road, rail, air and sea travel, safety, commodity trading, agriculture and retail footfalls etc. WeatherAction Long Range forecasts pay for themselves many many times over in your bottom-line and risk avoidance in weather sensitive activities. Copy forecasts ARE NOT loaded where original is already loaded. All access boxes contain latest issued forecast for that (month). Snow hits UK Early April! - confirming WeatherAction 7 weeks ahead detailed forecast. "We've had great praise for this" said Piers Corbyn astrophysicist of WeatherAction.com, "We got the size and timing of this extreme tight plunge in the Jet Stream about right from 7 weeks ahead. It's all solar-lunar driven and nothing to do with CO2. "This skill is totally beyond the powers of standard meteorology. The two severe Tropical Cyclones Veronica and Trevor which hit N & NW Australia March 22-23rd both formed in WeatherAction TopRed R5 period Mar17-20+-1d. "This is excellent News" said Piers Corbyn, "This confirms yet again the power of our R5 and R4 predictable periods of major sun (Solar-Wind) - Earth weather effects which ALWAYS ramp-up storms and cyclogenesis. Indeed ALL major Tropical storms/Cyclones Form/PowerUp in our R5 or R4 periods (No major storm yet checked - which is all of them which got our attention - breaks this, my first Rule of storms). "Furthermore this success confirms ideas we are developing for Australia-NewZealand forecasts WHICH ALSO APPEAR APPLICABLE TO ANYWHERE IN THE WORLD, including parts where we have not got as much past data as for Br+Ir, Europe and Usa. If these are successful we could expand to the rest of the world in time. HOWEVER we have an acute lack of resources to do this work and the CO2 EU-UN brainwashing of authorities and businesses who could benefit does not help. We have a small CLUB (mostly farmers) in Aus-NZ who have bought other forecasts (eg Usa/Eu) to support this R&D but there have been delays through lack of resources for which we apologize. The point is we need more resources. 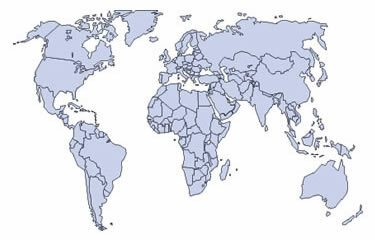 ANYONE - person or organisation READING THIS who wants to advance Aus-NZ & then the rest of the world forecasts please BUY existing forecasts (eg TheWholeLOT or whatever takes your fancy) PRONTO and text me on 07958713320 to say what countries you are interested in seeing developed so we could prioritize those and involve all such supporters in a CLUB of access to early results / reduced prices in future etc. Calling School students UK, Eu & World! YOU HAVE BEEN MISLED AND BRAINWASHED by the BBC, EU-UN, world media and teachers. The man-made CO2 GlobalWarming - ClimateChange story is nonsense - #FakeScience. The schools protest comes from the same stable as the #FakeProtest #ExtinctionRebellion (#XR) - backed by Exxon Mobil & 5G (dangerous Rays) Oligarchs. Eugenics in inter-War years; Hitler's 'Master-Race'(extension of Eugenics); Stalin's Lysenkoism. CHECK YOUR HISTORY AND YOUR PHYSICS! Late January EXTREME cold blasts and massive snowfall from wild Jet Stream and displaced polar vortex flow both sides of Atlantic, BI-Eu & Usa, superbly confirm WeatherAction climate forecasts ten years ahead and Long-Range forecasts detail 6 months and 45d / one month ahead. BRILL VID REPORTS + PowerPoint FROM PublicMeeting 20 Dec: Challenge to the CO2 Global-Warming narrative - What've they gotta hide? Piers Corbyn in his presentation (Video & PowerPoint) explains why the so-called #GreenhouseEffect #FakeScience "theory" (of Anthropogenic Global Warming, AGW) violates basic physics:- the 1st and 2nd Laws of Thermodynamics (back radiation version of AGW) and non-equilibrium radiation physics (Lapse-Rate version of AGW) and Henry's Law of liquid-gas dynamic equilibrium exchange (all versions of AGW). Philip Foster on UN-EU-FakeGreen policies and Grenfell Tower. #Scientists4Truth Vs #CO2-GlobalWarming-FakeScience and #ExtinctionRebellion-FakeProtest challenged the UN-IPCC, AlGore, SirDavidAttenborough, BBC-RogerHarrabin (or representatives) to provide peer-review real data evidence that CO2 levels drive climate (temp) changes (and 5 other points in 6 point challenge below). We know there is no such scientific paper but we are giving them a chance. THEY HAVE SO FAR FAILED TO REPLY so we will empty-chair them unless they / something shows up. CO2 levels are an effect not cause of climate changes. NEW VIDEO RELEASE! Piers Corbyn - #Scientists4Truth against #FakeScience - speaking at The Stone Of Free Speech Parliament Hill Fields, Hampstead, London announces their 6 point challenge to #UN-IPCC, Al Gore, BBC & David Attenborough to give real world data peer-review evidence of the CO2-GlobalWarming story. Note the millions of deaths world-wide every year Piers mentions in the video are caused by ClimateChange POLICY which drives #FuelPoverty (more details in leaflet). => http://bit.ly/2PpVzvX <= by PhilipFrancis Electric Cosmology (fb) - ElectricUniverse. Superbly live streamed. CO2 Levels are EFFECT NOT CAUSE of changes in climate. This is shown by a million years of data. The Sea Rules the atmosphere and The Sun rules the sea. Sir David's man-made climate-change alarmism is total falsity and delusional nonsense. IF another famous naturalist - David Bellamy - had not been sacked by the BBC and removed from all other posts of import when he pointed out the Man-Made climate Change story is a hoax; THEN SIR David Attenborough would not be now spouting lies from the UN in the interests of WallStreet super corporations and BigOil who have doubled profits and received Mega handouts through Climate-Change policy energy price hikes and absurd mega 'Climate' projects. FOLLOW THE MONEY. THE OBJECT OF GLOBAL-WARMING / CLIMATE-CHANGE POLICY IS NOT TO CONTROL CLIMATE WHICH IS IMPOSSIBLE BUT TO CONTROL YOU. UN Climate-Change policy is a new "CLIMATE-WMD" - as false as the UN claims of Iraq Weapons of Mass Destruction which led to the Iraq War. There is now a war on for evidence-based scientific truth and academic freedom. Climate Realist academics are being victimised and various institutions have blocked balanced meetings on the issue of Climate Change / Global-Warming. THE YELLOW VESTS SHOW THE WAY - support our 6-point demands (see below) on UN-(now including Sir David) - AlGore - BBC. Deadline Dec14. says Piers Corbyn. "The Claim that The North hemisphere is in some sort of heatwave covering half the globe or the world as a whole is 'baking' are deliberate lies intended to brainwash the public. The fraudulent claims ignore the fact that West Europe & The British Isles are only a small fraction of the world and ignore cold weather in many places including the coldest ever recorded temperatures in parts of Russia. The actual facts about the North Hemisphere (NH) on July 30 according to satellite data (map below) is the NH (sea and land) is very close to normal and the NH land in particular is 0.2C BELOW NORMAL. The world as a whole is estimated as +0.32C above normal which is 0.43C BELOW the peak in 1998 or 0.14C below the smoothed out (moving average) value of 1998. Importantly completely contrary to the brainwashing agenda of the BBC, other Media, FaceBook, Twitter, the UN and EU as well as much of Russia being record cold much of Australia has had record cold temperatures and Kangaroos are starving and invading Canberra for lawn grass because their normal feeding grounds are snow covered or very sparse. In Parts of South America record cold is killing Llamas in large numbers. The ONLY significant thing about the current state of world weather and climate is the wild Jet-Stream behaviour - and associated dramatic extremes - which is completely contrary to CO2 warmist theory and confirms our warnings of 10 years ago which are a consequence of the general low solar activity epoch we predicted and are now in. "The Global warming hoax must be destroyed". Piers' Top videos YouTube http://bit.ly/2lZTGIj dismembering CO2 hoax! -Climate hoax over? Follow on new vid http://bit.ly/2l4fvGx - Piers challenges Prof Stephen Hawking to stop backing Climate Hoax: (26-03-17) https://www.youtube.com/watch?v=yvhArksN53A+News release below, also http://windowsontheworld.net/video_type/climate-change-hoax/ on w-o-w.
- Seewhat'satstake in Eu/Brexit & Climate-Change debates including what happened in UK NE / Teesside (slides 24+25). The Meeting, reported below, also debunked the "97% believe in Man-made Global Warming /Climate Change" claim. The true figure is between 7% & 0.3% depending on "surveys". - NB parts of StMichael and StokeNewington used at Southend (Westcliff) & Exeter. CLICK TITLE TO JOIN IN - READ AND MAKE COMMENTS. This new blog marks the start of application of SLAT15a (Solar-Lunar-Action-Technique)which involves new improved (NH ~summer-time) rules to clarify which are best analogy (starting point) look-back data especially concerning lunar effects.